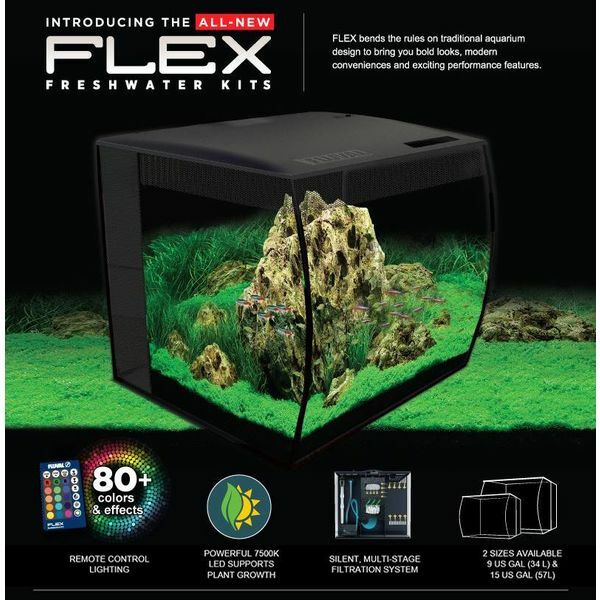 The Fluval Flex Aquarium is one of a kind. Not only does this fish tank bring contemporary styling with a unique curved front, it is also equipped with powerful, multi-stage filtration. In addition, the LED lighting emits a bright light source that gives owners the ability to customize numerous settings using a remote control. Flex your creativity skills with the Fluval Flex Aquarium by Hagen! This unique, all-in-one aquarium system is unlike any other fish tank. Instead of having the standard, bow-front tank, the Fluval Flex features an innovative, curved front vertically instead of the standard horizontal tank front. This cool feature creates a visual effect that enhances the views of the aquarium. 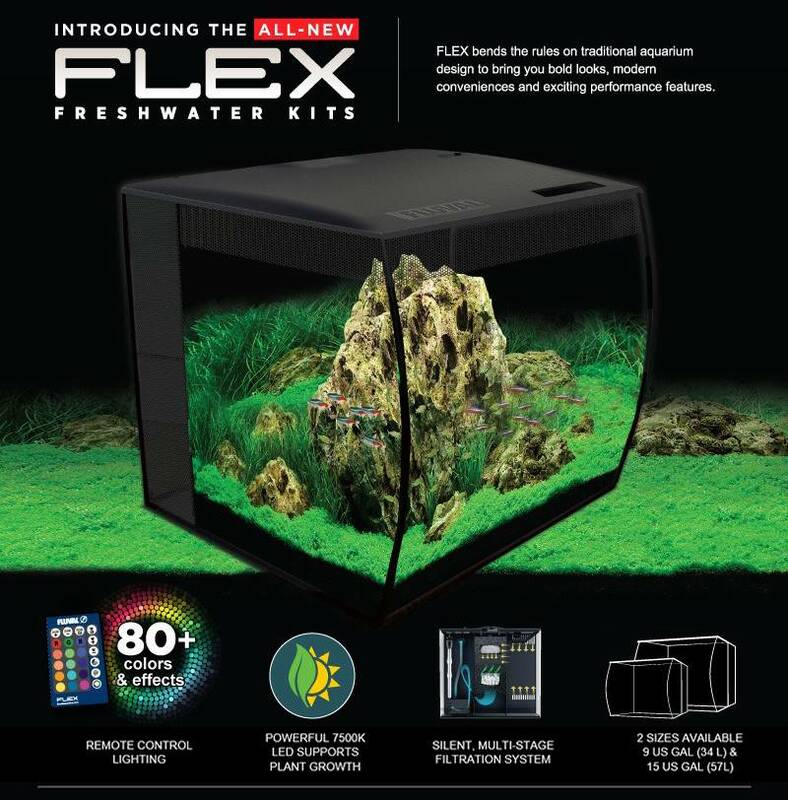 The fluval Flex includes a fully integrated, powerful, and efficient, three-stage filtration and a fully customizable LED light. THis aquarium is perfect for innovative hobbyists as the aquarium kit includes the necessary pieces to create a beautiful freshwater aquarium!